AMD has just launched its latest AM2 processor which supports DDR2. For well over a year now, Intel has been using DDR2 and now that AMD has joined the present DDR2 will be replacing DDR quite quickly. Crucial has been producing DDR2 ever since Intel made the move, and now their process is refined to a science. While DDR2 scales much higher that traditional DDR it's slower latencies often hamper performance to the point where DDR at slower clock speeds is still faster than DDR2. Today we are looking at a nice 2GB kit that clocks in at 667MHz with pretty decent timings, 3-3-3-12. 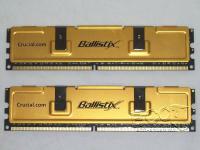 This is the Crucial Ballistix BL2KIT12864AA663 kit. It doesn't have fancy lights or nickel plated heat spreaders. It's all about performance, not eye candy. Let's take a look and see what Crucial is really offering here. The modules arrived from Crucial in a FedEx envelope and then inside of their traditional brown box. They modules are all made alike, so Crucial doesn't have to test the modules and put specific "matching" sticks into a kit. According to Crucial, all of their modules match. For the most part this philosophy seems to work, but there was a time when I was having issues with a couple of sticks. Once they swapped them out it worked fine. Crucial uses some pretty standard aluminum heat spreaders on their modules which are held down with a couple of clips. 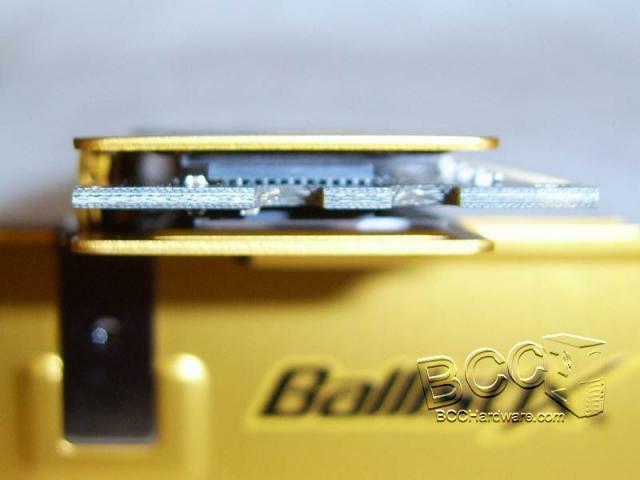 They use some thick thermal tape to make contact with the BGA ram chips and the aluminum heat spreader. I've had some OCZ memory over the years that didn't actually make proper contact, so it's nice to see that these DDR2 modules are built right. 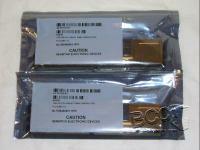 These memory modules come clocked in at 667MHz DDR2 and with 3-3-3-12 timings. Crucial doesn't state in their specs whether or not these modules are rated at 1T or 2T. We were able to run them at their stock speeds clocked at 1T. When overclocking these modules, we found that we were able to keep fairly tight timings up to 800MHz DDR2. After this point, we had to loosen the timings in order to clock higher. For our memory benchmarks on the next page, we started by under clocking these modules to a synchronous clock speed that matched our Intel 805 Dual Core processor. We tightened the timings up a bit as well. This is the first DDR2 memory review we've done, and we weren't sure what to expect with a low-end Intel rig. We overclocked and benchmarked the memory two ways. First, we kept the processor at stock speed and used RAM dividers to determine the maximum clock speed that it could reach. For the second attempt, we overclocked our processor and FSB to give the modules more bandwidth. Using the first method seemed to starve the modules, and overclocking the memory really didn't increase its performance. On the following page we'll take a look at our test setup and then get on to testing this memory! As I mentioned earlier, we ran a set of benchmarks at default CPU speed and increased the RAM divider to speed up the memory. We also increased the CPU speed to see what effect this had on the memory as well. We left game testing out of this review, because as you can see below, increasing the memory speed along doesn't provide the system with additional bandwidth. This is due to the 533MHz FSB of the Pentium D 805 processor. If we benchmarked after increasing the CPU & memory speed, it would be impossible to tell how much performance was gained through the memory boost rather than CPU speed boost. This numbers below with demonstrate how this memory can scale and it will give you an idea of the performance you can expect with the 805 processor. A faster processor will only increase these numbers. 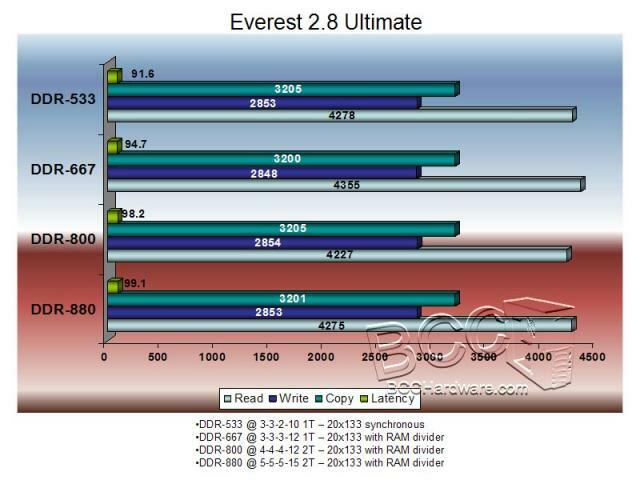 For these tests we stuck with Everest Ultimate Edition 2.80. This version shows memory read, write, copy and latency. There are some interesting results as we change memory timings around a bit. With the CPU running at stock speeds (20x133) at 2.66GHz, it is surprising to see the best memory performance when we run at DDR2-667, the memory's default speed. A couple of the scenario's show better performance at higher clock speed, but the Read score is the highest at DDR2-667. I find this interesting because the system is running asynchronous at 533FSB and 667MHz on the memory bus. The flat memory performance at different speeds is a direct result of a restricted bus. In order to make things more interesting, we need to let the dogs out and clock this system up a bit. In this next set of tests, we run the CPU at stock 2.66GHz using the same speeds and settings as above. We also run the system synchronously with the memory at 20x166 = 3.32GHz, and then we max out our memory at DDR2-880 using the best memory divider to keep our system stable. At this speed, the system pulls a nice 20x190 = 3.8GHz. At this speed we were able to run loops of Prime95, and all tests 100% stable. On this Intel setup as we loosen timings and turn up the clock speed, latency still decreases. This shows that with Intel processors, timings make less difference than sheer clock speed. As we would expect, the memory bandwidth and performance increases significantly as our bus and CPU speed increases. We see over a 39% performance improvement as we clock up our system 42%. This ratio is fairly static as we tested through the spectrum. 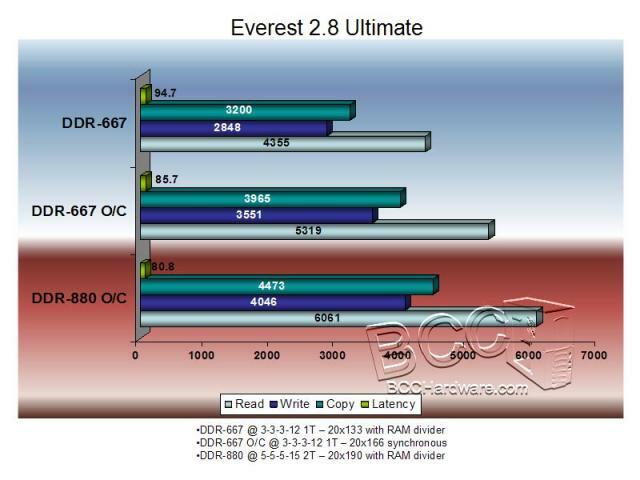 As you continue to run faster bus speeds and CPU speeds, you can expect this DDR2 from Crucial to keep scaling and will find that the performance is excellent. The 2GB PC5300 DDR2-667 kit from Crucial is just what the doctor orders for many Intel and AM2 computers today. This memory has very good timings at DDR2-667 and can run much faster with only a few modest tweaks. At stock speeds, the memory is rated to use 2.2v, but we found we were able to run with a mere 1.8v at these speeds. That allows more voltage headroom as you overclock this memory. Throughout testing it was solid and proved very reliable. If you like fancy LEDs in your memory Crucial can set you up with their 2GB DDR2-667 Tracer kit as well, but it will cost you some latency. The Tracer, comes clocked in with 4-4-4-10 timings instead of this memory at 3-3-3-12. 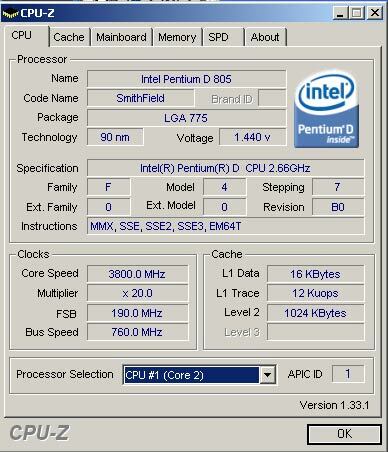 This memory can run right up there with Crucial's DDR2-800 at the same timings. The only difference is less money. That's why we recommend the PC5300 for most applications. Runs up to 2.2v without voiding warranty. Runs at 1.8v at stock speeds. Overclocks higher than standard PC6400. Lifetime warranty & free shipping from Crucial. Priced higher than some competitions modules. 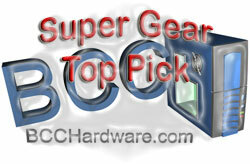 This memory does very well, and earns our Top Pick award. I'd have no trouble at all recommending this memory to anyone who wants excellent performance for their dollar. If you have any questions, comments or general feedback regarding this review, please fire a question over to the link below. You will have to register to post, but registration is free, fast and easy. Thanks to Crucial for supplying the memory used in this review.